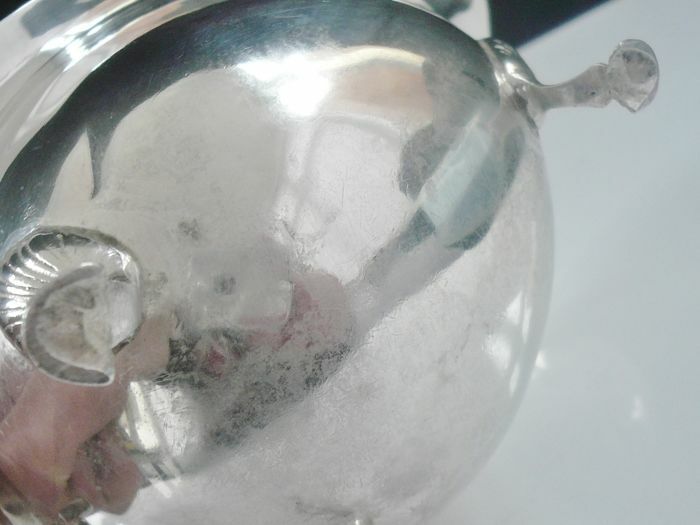 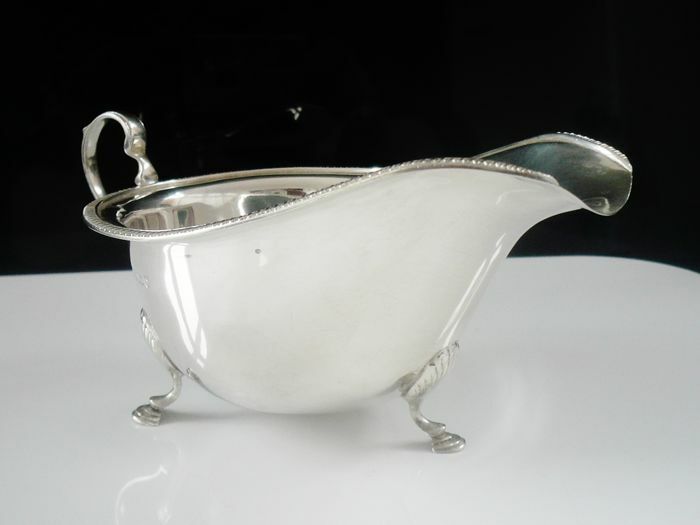 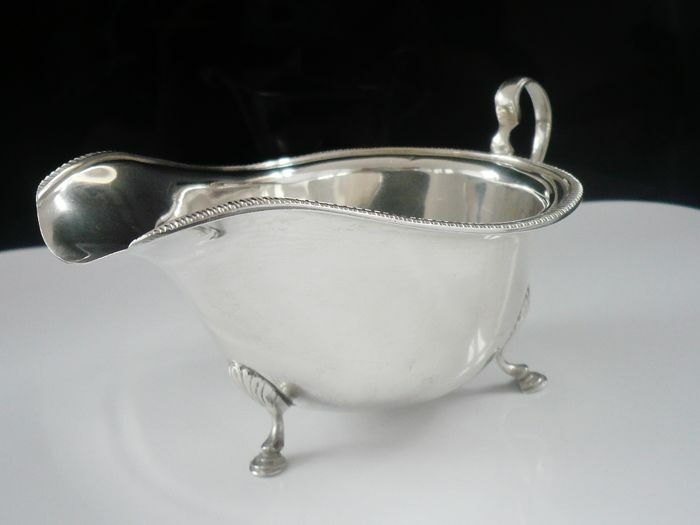 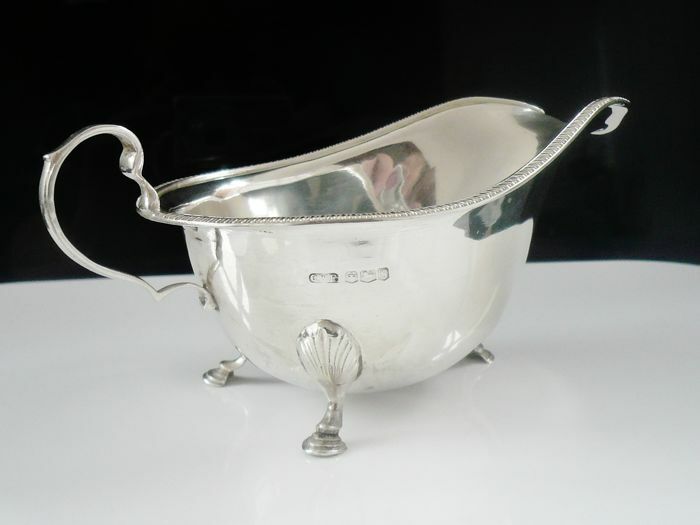 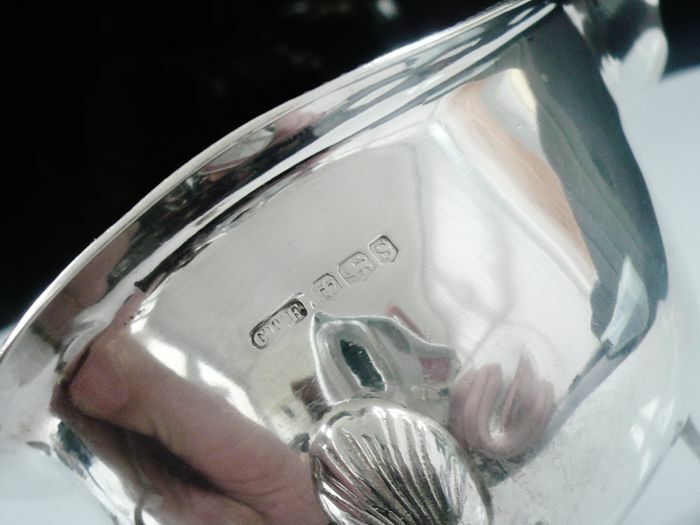 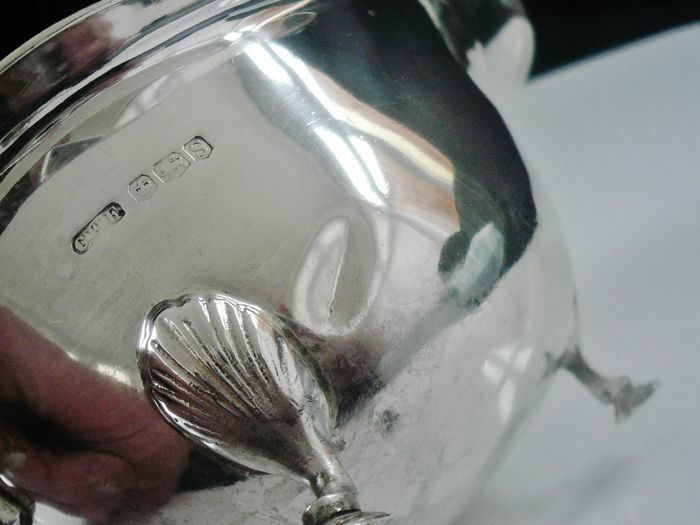 English sterling silver sauce boat by C W Fletcher & Son Ltd, hallmarked from Sheffield in 1935. 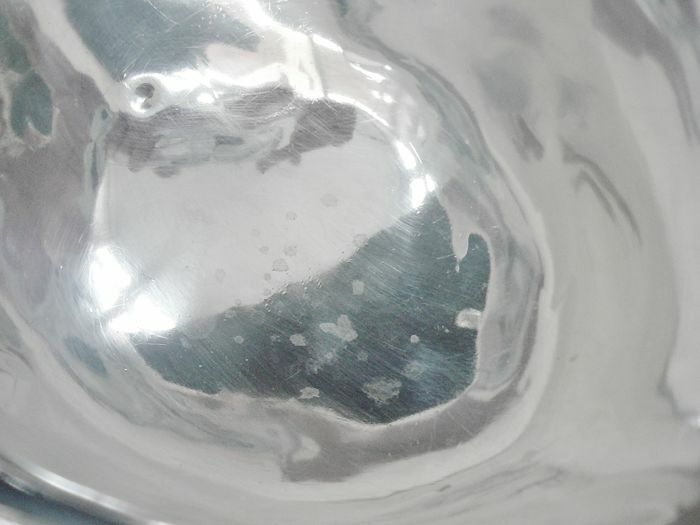 2 or 3 small dinks and some dark spots to the inside bottom area and underneath is cloudy in appearance so a much more indepth polish will be required. 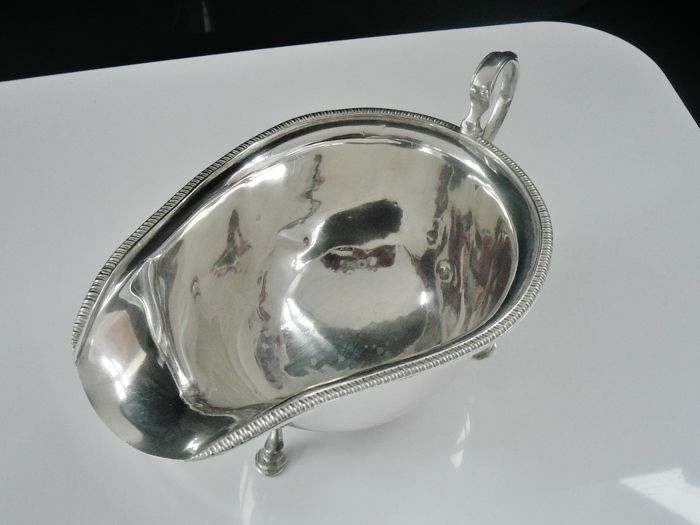 A good stylish example that would benefit from a good polish and the small dinks taken out.